Filing for bankruptcy is never an easy process. Not only is it emotionally draining, it’s also physically exhausting. And depending on your specific situation, the process can last anywhere from a couple of months to a couple of years depending on which route you choose to take. At the Law Office of Leslie A. Williams, we understand the bankruptcy process, and we want to do whatever we can to make the situation easier on our clients. That’s why this month we’re outlining the timing and initial steps of bankruptcy in order to help you prepare for the process. First, it’s important to understand the basics. Bankruptcy is a federal court process designed to help consumers and businesses eliminate or repay debts. They are generally categorized as either Chapter 7, in which a court is asked to wipe out or discharge a debt, or Chapter 13, in which the person filing the claim works with the court on a creditor repayment plan. The time span of a bankruptcy process will vary according to whether a Chapter 7 or a Chapter 13 bankruptcy is filed. Chapter 7 cases—the most common—last between three and four months while Chapter 13 bankruptcies take between three and five years. In either case, immediate bankruptcy protection is provided as soon as it is filed. The courts order what is called an “automatic stay” prohibiting most creditors from taking action to collect debts they are owed giving the filer instant relief. However, certain debts such as child support and alimony cannot be discharged in bankruptcy, and they will continue to be owed as planned. Regarding the bankruptcy process, a typical Chapter 7 filing is relatively basic. Filers give the bankruptcy court a detailed petition that lists, among other things, their debts, assets and the names of their creditors, and, after the petition is filed, the filer meets with the bankruptcy trustee to go over the details. 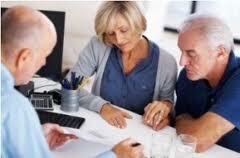 The process is generally moved along quickly in order to benefit both the creditor and the bankruptcy filer. Chapter 13 cases are commonly called the “wage-earner’s plan” because they offer debt relief for those who are currently employed and earning an income. Just like in Chapter 7 cases, the filer provides the court with a detailed petition that has been prepared by a bankruptcy attorney. The filer then meets with the bankruptcy trustee to create a reorganized debt repayment plan. Once the plan is established, the filer begins making monthly payments for a period of three to five years. When filing for bankruptcy of either chapter, a filer should secure the services of a bankruptcy attorney. Most offer an initial during which the filer will want to bring a list of questions and all of his or her financial information. Included in the documents should be a list of past and present debts, a list of owned property, current statements from bank accounts, any information regarding stocks or retirement, a house deed if one is owned, proof of income, and any notices or mail that has been received from creditors. The attorney will review the documents and explain the process to the filer before approaching the court system. At the Law Office of Leslie A. Williams, we are committed to helping those in the Kansas City area who are facing bankruptcy. We know it is a life-changing process and one that involves a great deal of mental and physical energy. That’s why we thoroughly explain the process to all of our clients and work on their behalf to get them back on their feet. We can help each filer discover whether a Chapter 7 or Chapter 13 bankruptcy is best for his or her situation and prepare the necessary documents. And, through our , we will answer questions and outline the necessary details. Today, if you or someone you know is considering bankruptcy, contact Leslie Williams. We’ll set up a and help you start moving forward—debt-free! Bankruptcy is something that most people don't know a lot about because they want to avoid it but it is good to know the differences in case you are ever in the situation. Thanks for explaining. Thanks for all the information, I didn't realize all the differences in filing bankruptcy. This is a great article laying out the two types of bankruptcy. It's a necessary part of our economy, and an important one to understand. This is an interesting post outlining the differences in Bankruptcy. There are options available, but they are complicated and scary for people who might need it. This blog explains it clearly and simply. Very informative post in easy to understand terms for those who may be considering bankruptcy. Thanks for sharing! Great information for anyone who wants/needs to know the difference between Chapter 7 and Chapter 13 bankruptcy filings, thanks for posting! Thanks for explaining. These are definitely things you want to know before you are in the situation to use them. When I was young, my parents went through bankruptcy. However, I was so young I just remember they didn't have any money and wasn't aware of anything else. Thanks for sharing this information. Bankruptcy can be a scary process. but with the right guidance and game-plan, there is a light at the end of the tunnel. Hopefully people who are struggling with this issue find this blog. No matter what situation you are in, working to be debt free can be one of the best choices you can make even if it takes some humility. I didn't realize there was bankruptcy options for those still making an income but it makes sense.